Clockwise, from top left: Jennifer Butler Ellis, Mark Riley, Rebecca Shortridge. The American Institute of CPAs has honored the NIU Department of Accountancy for its innovative efforts to teach students that success in the field today requires more than just a knack for crunching numbers. 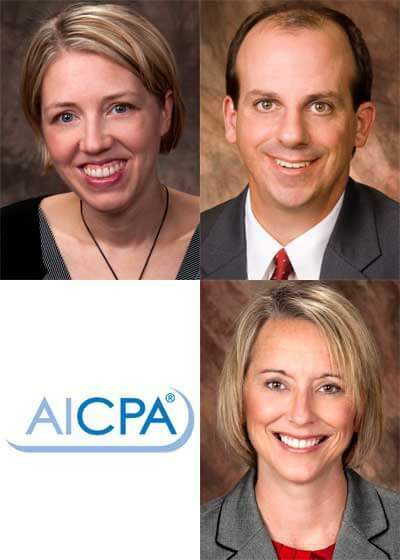 Faculty Jennifer Butler Ellis, Mark Riley and Rebecca Shortridge were named recipients of the 2013 Mark Chain/FSA Innovation in Graduate Teaching Award by the AICPA for incorporating sessions on giving and receiving performance feedback into graduate-level coursework. Research has found that the ability to provide – and accept – feedback is a skill that is often lacking in graduates entering the market place, says Ellis, who is the director of Professional Development in the department’s Ernst & Young Leadership and Professional Development Center. To help students develop that skill, Ellis, Riley and Shortridge worked to incorporate feedback sessions into a capstone course required of all students seeking to earn a master’s in accountancy. In that course, students work as teams on a semester-long exercise that requires them to establish the value of a company. The process is very collaborative, creating many opportunities for students to assess the contributions of teammates and offer feedback. Students take a two-hour workshop on designing and delivering effective feedback from Ellis, and then participate in two feedback sessions – one mid-semester and one at the end. The sessions focus less on technical aspects of the job and more on team function and communication. Ellis and the course instructors sit in on the sessions and provide feedback of their own to all participants, helping them to see how providing feedback – both positive and negative – can help others improve or sustain performance. “It really helps them to understand that giving constructive feedback is a way of helping others,” Riley says. For some students, learning how to accept constructive feedback that might not be flattering is another important aspect of the course. By the second session, most students have warmed up to the process. “They often are very apprehensive in the first session, but they sort of look forward to the second because they understand the process and are better at it,” Riley says. The program is just one example among many of NIU Accountancy’s efforts to improve the “soft skills” that employers increasingly demand. Throughout the program, faculty have built in workshops and activities to teach everything from leadership to memo writing. “You see other programs around the country doing bits and pieces of this, but I don’t know of any others that incorporate this much work on leadership and professional skills,” Riley says. This is the second innovation award for Shortridge, who won the same award four years ago for her development of the business valuation course (the first of its kind). NIU Accountancy embraces a culture of innovation, she says. Such efforts have consistently kept the program near the top of many national rankings lists. 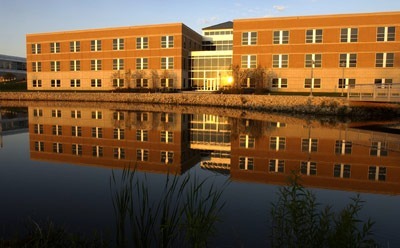 Most recently both the undergraduate and graduate accountancy programs were ranked 16th in the nation by accounting professors across the nation in a poll published by The Public Accounting Report. The Mark Chain/FSA Innovation in Graduate Teaching Award is designed to recognize exceptional graduate accounting practices. Award recipients are selected from accepted submissions to the American Accounting Association’s Effective Learning Strategies Forum. Those chosen as recipients present their work at the following year’s Conference on Teaching and Learning in Accounting.